Ford Figo hatchback is one of the prized cars in Ford’s kitty. It is popular with masses as well as classes and matches the popularity of other cars like Hyundai Grand i10 and also Maruti Suzuki Swift. It’s reasonably priced and is available in diesel as well as petrol versions. The latest model of new Ford Figo hatchback is very close in appearance to Aspire sedan. It has been suitably designed with large grille and suitably sized bumpers that complement the sturdy wheel arches and attractive headlamps. This comfortable and attractive car has a prominent V-shaped design and its dashboard is well-equipped with many buttons and controls for entertainment. With 6 airbags for complete safety and turbocharged engines for complete safety, Ford Figo 1.2 Petrol will soon surpass the popularity of cars like Tata Bolt, Nissan Micra and even Honda Brio. Its superb performance is soon going to win hearts of car lovers. Ford Figo is a promising car that promises to provide worth of every penny spent on its purchase. This is a low maintenance car thus needs the best batteries available that would match its anatomy. While original batteries for Ford cars may burn a huge hole in your pocket, we have brought for you the convenient option to buy Ford Figo car batteries online. 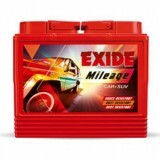 Visit http://www.everyonechoice.com/car-battery/ford/ford-figo-1-2-petroland look for the battery you want to fit in your Ford Figo. Here you would find reliable and high performance batteries that would keep your prized car in the best of its health. 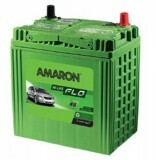 Get the most reasonable Ford Car battery price in Delhi, India and enjoy your ride to the hilt.